Food Additives and Ingredients Association | Can fish oils improve hyperactivity? Everyone knows that a good diet is necessary in order to perform well but this is usually thought of in physical terms – athletes and sportsmen and women have to consider their diet very carefully. But there is increasing evidence that diet can have a specific effect on mental performance and behaviour. Although the word ‘fat’ has some negative connotation, fats play a vital role in the body. The outer walls of all cells in the body are made of fatty substances. In the brain and nervous system the fatty wall is called myelin. Myelination is a crucial stage in the development of the brain in early life. There are many different kinds of fat in our body and in our diet and there is mounting evidence that modern diets have created a serious imbalance in our intake of fats. Since some of the fats are involved in the development and functioning of the nervous system this can have consequences for behaviour. When the importance of unsaturated fatty acid was first recognised it was in the context of reducing cholesterol levels and hence the risk of heart disease. This is still valid but it now seems they may have a wider significance. Fatty acids are important components of our diets, and people’s bodies vary in their ability to process them. The dramatic changes that took place to our diets in the 20th century mean that much of the population may benefit from a particular type known as omega-3 oils. These are important for brain health, and by far the best source of these is oily fish, such as mackerel, tuna and anchovies. Several recent studies have shown that there is a correlation between depression and a lack of omega-3 fatty acids. Studies have also shown that fatty acid may improve behaviour both in children with ADHD and related disorders, and in adults with behaviour problems. 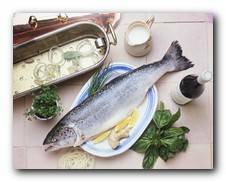 In one study, more than 100 children with learning and behavioural problems were given omega-3 fatty acids, the fatty acids plus vitamins and minerals, or a placebo every day for 15 weeks, and then for a further 15 weeks they were all given the fatty acid and vitamin cocktail. Parents rated the children’s behaviour, and after 15 weeks those given either just the fatty acids or those with added vitamins were significantly better behaved, with no difference in those given the placebo. After 30 weeks, all the children were behaving better. This is just one of many studies that seem to show that omega-3 fatty acids can improve children’s behaviour and reduce symptoms of ADHD.